This electric lime green cable car moves nearly at the speed of light! Place it on the floor, rev it up, let go and watch it zoom! This is not a pull back toy. A great gift for children and adults! My order was processed quickly and the item arrived promptly. Thank you. Took a trip to SF and bought one for my youngest, came home and my oldest wanted the one also. Ordered this for my son and is just what I needed. It is a fun toy for little kids. Great little gift from San Francisco. 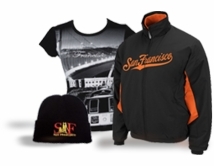 Right from store on Pier 39. I visited the city and the pier two decades ago and this very colorful and quality cable car brings back the good times we had as passengers in the cable cars. I wanted to give my nephew a San Francisco themed toy for Christmas, but didn't want to have to go to the Wharf to get it. It fit the bill and he loved it. Ended up finding a similar one at CVS in the week between when I ordered it and Christmas, but was probably still worth it to not have to worry about finding it before I flew home. Our daughter loves the perfect pitched bell that plays when the car moves. Robust and strong toy - we look forward to using it for a long while! It is cute and well made having survived three year old twin boys playtime for months. 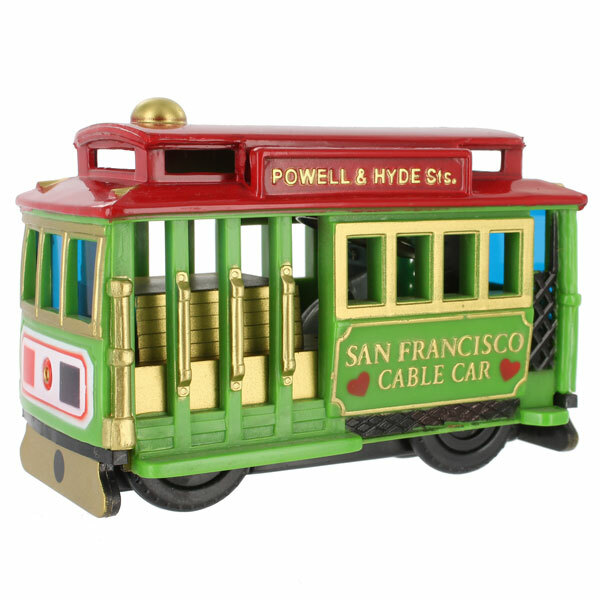 I ordered the cable car for my 4- year old grandson and he loves it. 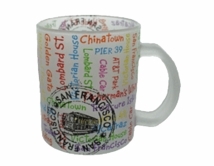 The cable car is a great quality and looks just like the picture that appears on line. The package was received in good shape and well within the week of placing the order.